Co-sponsored by LOMA (formerly, the Life Office Management Association). 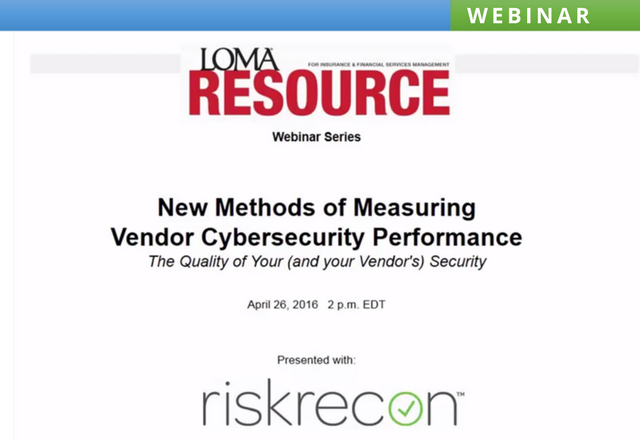 RiskRecon discusses new methods for measuring a company’s security practices from outside the network to help control and manage third-party security risks. Ways that life insurers (and other financial services providers) have adapted their third-party risk management processes. 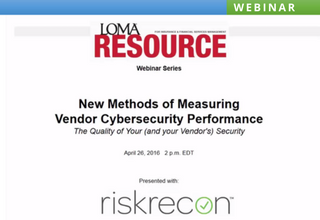 How vendor risk management is changing due to an explosion in the number of vendors and SaaS applications.